Country music star Josh Turner will debut his latest Universal Music Nashville release, “Punching Bag,” and perform live on HSN on May 25 at 9 p.m., the network said Tuesday. HSN customers will have the opportunity to pre-order an exclusive two-disc bundle ($19.95, free S&H) on HSN.com that includes Turner’s new release and the “ICON Series: The Best of Josh Turner,” which includes 11 of his No. 1 hits, such as “Long Black Train” and “Would you go with me”. Following his HSN premiere, Turner will interact with HSN’s Facebook fans during a live post-concert chat. We just got a gander at QVC.com’s bridal jewelry section, which includes 216 items. Well, any would-be groom of our’s better not be shopping for a Diamonique engagement ring! It is true that there are Affinity diamonds on the site. The selections include a 1-carat three-stone Style Halo Ring for $2,119, and a 1.4-carat five-stone ring for $2,404. This is a lovely present for the day after our birthday. Carolyn Pollack, who sells Southwestern jewelry and her higher-end Sincerely Southwest lines on QVC, will premiere her American West Jewelry line on QVC next Sunday, April 29 (our B-Day is April 28). Or so she says on Facebook. 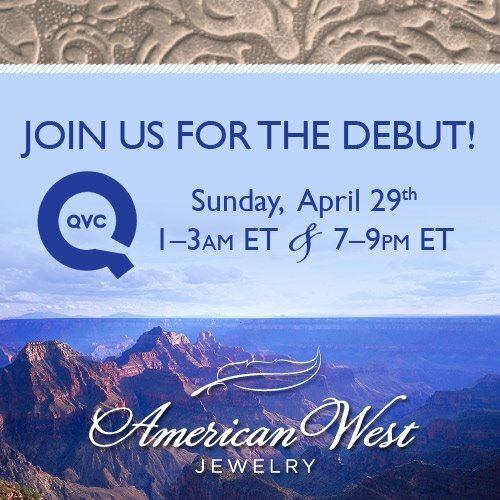 Tune in to QVC on Sunday, April 29th for the debut of American West Jewelry. 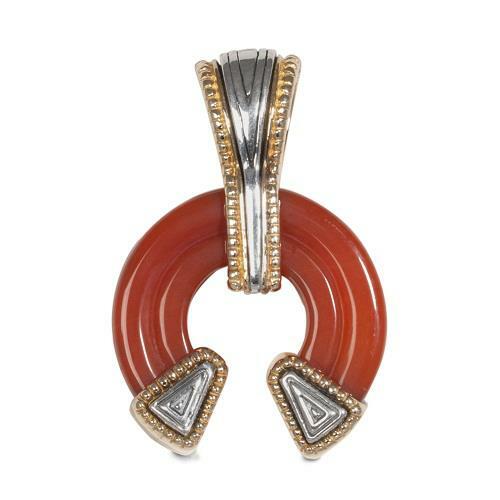 For more than 25 years we’ve been bringing our line of Southwestern Jewelry to QVC, and now with American West Jewelry we’ll be bringing you new designs inspired by the Southwest as well as designs that draw on a greater range of influences from the entire American West. Carolyn will be your guide to the American West, bringing you more romance, more stories, more style and more amazing jewelry inspired by this breathtaking region. Join us for two shows of all brand new designs inspired by both the Southwest and the legends, lifestyle and lore of the entire American West. Through sterling silver and gemstone jewelry, Carolyn will tell the story of this amazing place and the rich cultures—Native American, Spanish and Cowboy—that have met and flourished here. As always, all of our jewelry is proudly made in the USA, right here in Albuquerque, New Mexico in the heart of American West! We’ll be chatting live right here on our brand new American West Facebook page during both shows! At the end of each show we’ll play a little trivia and one winner will take home a lovely piece of Southwestern Jewelry. God, or a fairy, will get us for this one. Early Thursday morning we just could not get to sleep, so we took to the couch and put on QVC. The what some might call whimsical, and others might call goofy, was on: Kirk’s Folly. For those not in the know, this jewelry and accessory line offers sparkly goods with fairies, sparkles etc. 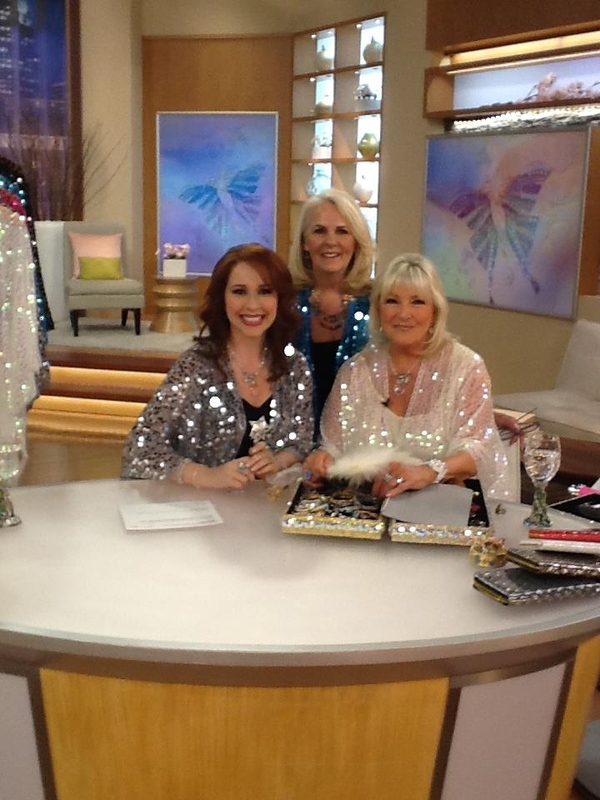 It is celebrating is 20th anniversary on the home shopping network, and Jenniefer Kirk, known by Kirks Folly collectors as the Fairy Godmother, was in the house in West Chester, Pa.
Kirk was on with QVC host Sharon Faetsch. During the show, Kirk took out one of the magic wands that she hawks and sprinkled “Follydust,” or fairy dust, all over the table and the host. But that dust came back to haunt Kirk later in the show, when she apparently inhaled some of it and started coughing uncontrollably. Girlfriend, do not make a mess sprinkling that crap all over! Later on, host David James had a laugh when he pointed out that the fairy dust was now all over the velvet “necks” that hosts use to display jewelry. For the uninitiated, here is some info on Kirk’s Folly from its website. Jenniefer has taught thousands of Kirks Folly enthusiasts how to make their dreams come true by taking them to the fairy tale places of their imaginations. During each QVC Show, The Fairy Godmother presides over a magical destination. These shows are beautifully elaborate productions with settings and costumes that bring the Kirks Folly fantasy themes to life. The Fairy Godmother is never without her Magic Wand which is filled with Follydust. For those of you who don´t know about Follydust, it´s a glittering mixture made from the magic of a baby´s smile and light of the brightest star. It also contains a special mix of Moondust, Pixiedust and Stardust and is especially powerful. It must be used wisely because dreams do come true! The Fairy Godmother´s Wand and magical Follydust (along with a smaller Magic Wand for the less adventurous) can be found in our Online Shopping pages in the Home Accent and Gifts section. HSN is hosting a Spring Dress Event next Wednesday, with fashion mavens Robert Verdi and Hal Rubenstein in the house, the company said Thursday. The Vicky Tiel Collection by Vicky Tiel will launch then, and featuring the French couturier’s “original patterns with a modern twist,” or so says HSN. Tiel began designing clothes 40 years ago, and is the longest surviving female designer in Paris. An “it” girl of the 1960’s, Tiel’s signature dresses have been sold exclusively in Bergdorf Goodman and Neiman Marcus for the past thirty years and worn by everyone from Elizabeth Taylor, to Goldie Hawn, Halle Berry and Kim Kardashian. From flirty tiered dresses and long maxi dresses perfect for spring and summer, flattering jersey wrap dresses and the ever-popular color block dress. The dress event will also spotlight styles by American Glamour Badgley Mischka and Liz Lang, as well as the debut of the Ahhh Dress line by Rhonda Shear. Other HSN favorites include new pieces from Diane Gilman and Tiana B with accessories by RJ Graziano and Big Buddah Handbags. Making appearances throughout the event as HSN’s style expert, fashion authority Verdi is one of the most highly recognizable faces in the world of fashion today. Verdi is the go-to style guru for celebrities like Eva Longoria, Bethenny Frankel, Kathy Griffin and Kristen Wiig. Verdi is known for his appearances on “Full Frontal Fashion,” “Fashion Police” and E! Entertainment News Red Carpet. Robert will be giving the HSN customer the most coveted fashion tips and tricks while also engaging with fans on Facebook and Twitter. Additionally, Rubenstein, will join HSN for the first time with his highly acclaimed book, “100 Unforgettable Dresses,” a must for all fashion enthusiasts, movie buffs, and celebrity watchers. HSN has appointed Nordstrom Inc. veteran Anne Martin-Vachon its chief merchandising officer, effective May 14, the company said Thursday. Martin-Vachon will oversee HSN’s merchandising and planning teams and report directly to HSN CEO Mindy Grossman. Martin-Vachon joins HSN from Nordstrom, where she served as the chief marketing officer responsible for all marketing, visual merchandising and marketing operations for Nordstrom, Nordstrom.com and Nordstrom Rack. In this role, she is credited with growing Nordstrom’s new customer file. Prior to joining Nordstrom, Martin-Vachon was president and CEO of the international beauty and skincare company Lise Watier Cosmetiques Inc., where she oversaw all aspects of the company including product development and operations. Before Lise Watier, she was the chief marketing officer at Bath & Body Works. Martin-Vachon started her career at Procter & Gamble where she spent over 20 years and held a variety of positions in beauty, global cosmetic innovation and branding for numerous household and personal care brands in the P&G portfolio. In her role as HSN’s chief merchandising officer, Martin-Vachon will oversee the product development, assortment, pricing, category expansion and merchandising of HSN brands across all product categories. In addition, she will be responsible for the overall merchandising strategy, development of new product offerings and brand partners as well as work closely with HSN’s executive team to determine investment opportunities to expand and complement HSN’s diverse merchandise assortment. She will also work on developing packaging and pricing designed to deliver significant growth and profitability to the company and fresh experiences to customers. She earned an MBA in Marketing and International Business from McGill University and a bachelor degree from the University of Quebec. HSN and House Beautiful magazine, a leading shelter pub, are teaming up to debut” House Beautiful Marketplace,” the home shopping network said Monday. The new collection will span a variety of design styles, from classic to modern. Each month, the House Beautiful Marketplace on HSN.com will feature “House Beautiful Picks” — items hand selected by the magazine’s editors who will contribute exclusive editorial content, advice and inspiration to customers. During HSN’s Spring Home Design Event from April 17—19, the “House Beautiful Marketplace” will debut on HSN TV with House Beautiful Editor-in-Chief Newell Turner appearing to offer his take on the latest trends in home design. “The ‘House Beautiful Marketplace’ further establishes HSN as a ‘go to’ destination for compelling design and decor items and we are excited to be partnering with such a well-respected publication,” said Chris Nicola, who has one of the longest titles in the world: HSN’s senior vice president of merchandising — home design and improvements. “The HSN consumer is always looking for unique shopping experiences that delight and entertain, so we know she will appreciate the incredible collection of products we’re offering that speak to today’s trends,” Nicola said. Turner also chimed in, as editors usually do. Trends and insight found in the most recent House Beautiful issue will be incorporated across all of HSN’s platforms, with Turner, senior editor Orli Ben-Dor and other top editors making special appearances. Any QVC fan is familiar with the home shopping network’s Affinity Diamond spokesman, Michael O’Connor. He’s a celebrity stylist who appears on QVC to talk about its in-house diamond line. Well, O’Connor was just quoted in Us Weekly about stud muffin Brad Pitt’s engagement ring to his long-time baby mama, Angelina Jolie. Pitt apparently finally popped the question, giving Jolie a huge what appears to be rectangle-shaped diamond bauble. Putting his expert eye on the ring, symbolically speaking, O’Connor gauged the engagement ring to be about six carats and worth about $250,000. The ring was created by Beverly Hills jeweler Robert Procop. 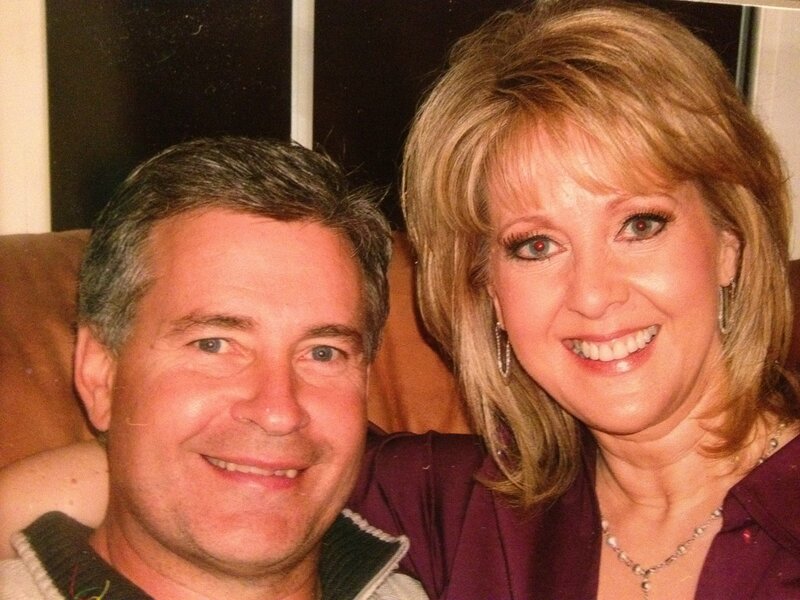 We’re always curious to see what the spouses of QVC and HSN hosts look like, and we just got a gander at Mary Beth Roe’s hubby. Roe posted a photo of her and her husband Mark on Facebook today. A number of weeks ago, it actually could be months, HSN CEO Mindy Grossman was mentioned as a contender to become CEO of Avon. But it ain’t going to happen. “Ms. 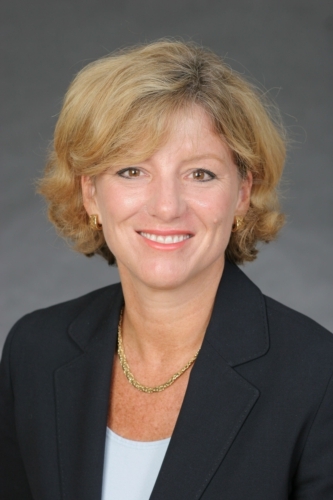 McCoy, 53, assumes leadership of Avon following an exceptional 30-year career at Johnson & Johnson, where she rose to become Vice Chairman of the company’s Pharmaceutical, Consumer, Corporate Office of Science & Technology, and Information Technology divisions,” the Avon press release said. You are currently browsing the Homeshoppingista's Blog By Linda Moss blog archives for April, 2012.